Will Claudio Ranieri be smiling after Fulham's match with Manchester United? The Premier League's bottom club Fulham need a positive result when they travel to Manchester United. Opta rates their chances. "Manchester United and Fulham last met in February 2014 in the Premier League – a 2-2 draw in which the Cottagers equalised in the 90th minute via Darren Bent." Manchester United and Fulham last met in February 2014 in the Premier League - a 2-2 draw in which the Cottagers equalised in the 90th minute via Darren Bent. The draw is [5.8]. Fulham have lost 21 of their last 23 away matches against Manchester United in all competitions (W1 D1). Manchester United are [1.36] to win. Fulham have only lost more Premier League matches against Arsenal (19) than against Manchester United (18). The home side are [1.95] to win half-time/full-time. Among Premier League fixtures to have seen at least 50 goals scored, Manchester United vs Fulham has seen the highest percentage of goals in the first-half (51 of 86, 59%) - only two of the 26 Premier League meetings between the teams have been goalless at half-time. Over 2.5 goals is [1.6]. Fulham are winless in 10 Premier League away games (D1 L9), losing their last six in a row. They last lost more consecutive away in the competition in March 2006 (8). The draw half-time/Manchester United full-time double result is [4.6]. This is the 10th meeting between Man Utd boss Jose Mourinho and Fulham's Claudio Ranieri in all competitions - Mourinho has won his last three against the Italian since losing in his final match in charge of Chelsea in December 2015 against Leicester City. Manchester United are [2.4] to win to nil. 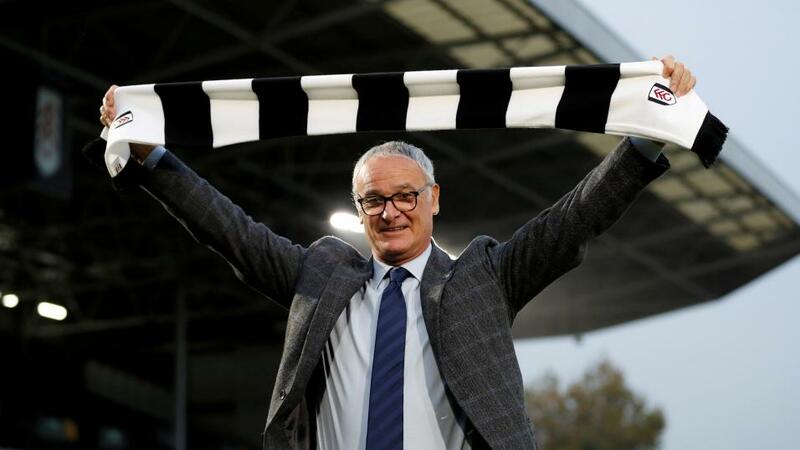 Fulham boss Claudio Ranieri could become only the third manager to win a Premier League game away at Old Trafford with two different clubs, after Martin O'Neill and Rafael Benitez. A Fulham victory is [10.5]. Jose Mourinho will look to seal his 50th Premier League victory as Manchester United manager in this game - his 92nd game in the competition at the Red Devils. A Manchester United win and both teams to score is [1.88].